Back in high school (exactly 10½ years ago, actually), Kate, Lia, and I designed and produced a line of purses called FAT EMA. By “designed and produced a line of purses” I mean we cut up a bunch of our old denim, used my sewing machine to make little bags and wallets and gave them to our girlfriends as Christmas gifts. Bedazzling was also involved. 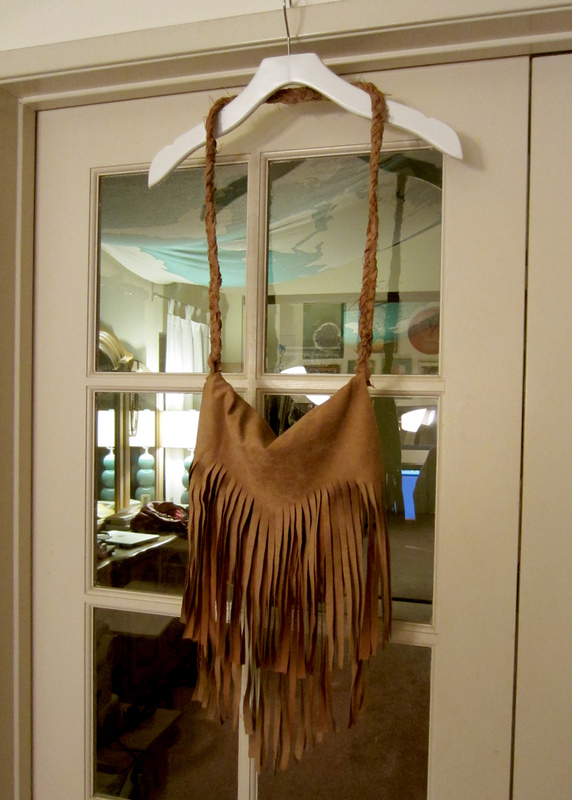 I doubt any of us still have those homemade purses, but they were fun while they lasted. A decade later and I still remember the bag making skills we acquired from that DIY Christmas. So without further ado, I bring you the first (and only) piece of the FAT EMA Spring/Summer 2012 RTW collection. 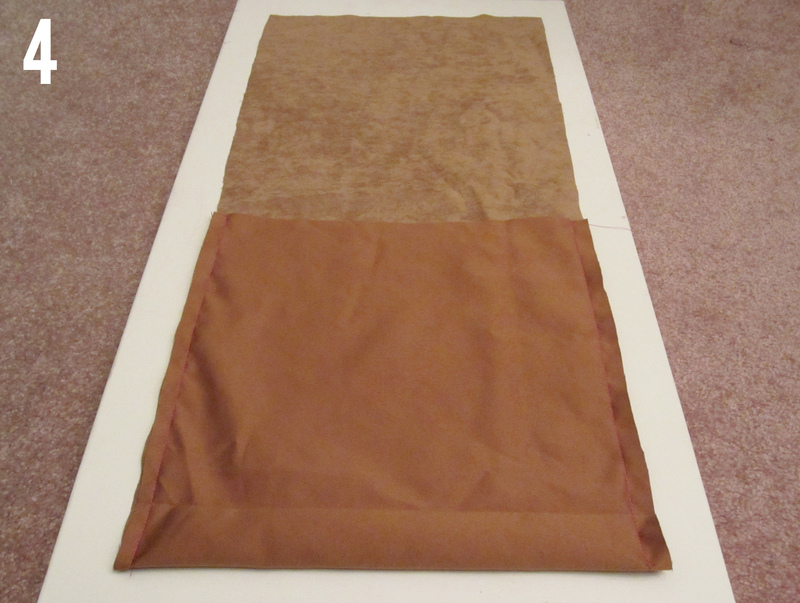 Step 1: Start with half a yard of 60″ width synthetic suede fabric. Cut out two rectangle pieces. The first one, which we will call piece A, measures 12×40 inches. 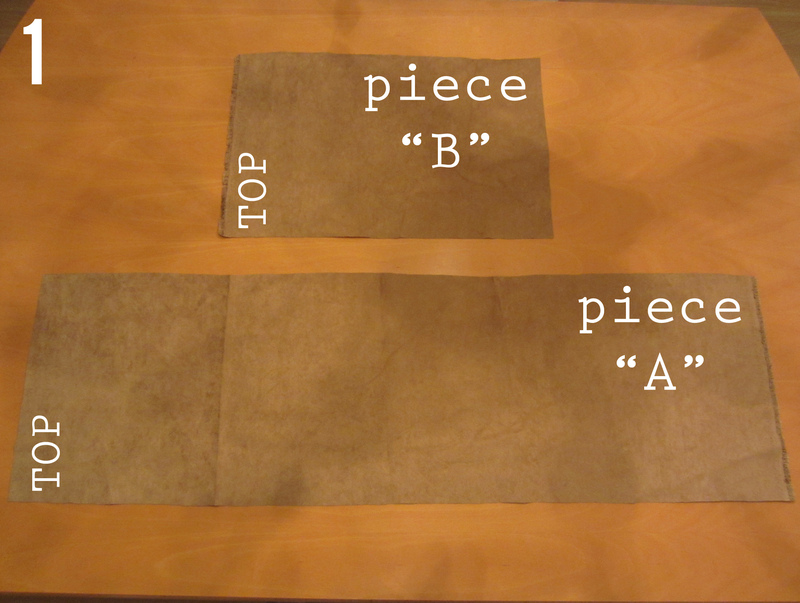 The second piece, aka piece B, should be one inch less the width and half the length of piece A. Therefore, it measures 11×20 inches. For the sake of this tutorial, we will also designate the “top” edges of each rectangle (see picture). Step 2: Cut off selvage if necessary. You were probably smarter than me and didn’t include those in your rectangles in the first place. Step 3: Fold the top edge of piece A a third of the way up on itself. Be sure that you are folding it so that the right sides are touching. Step 4: Sew the sides together with a half inch allowance. 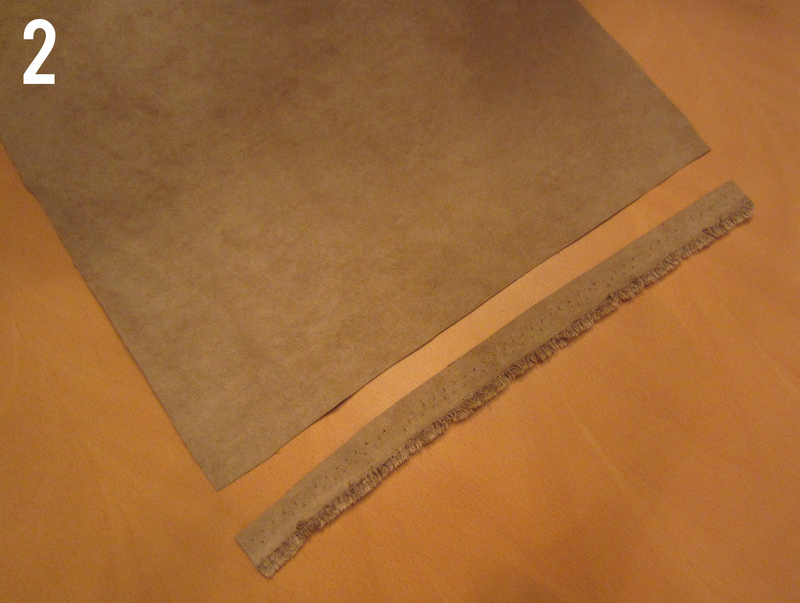 Step 5: Pinch the bottom corners of the pouch you just made until you get a triangle shape. Sew a straight line across the triangle. I left about 1¼ inches on either side of the seam. This will create the base of your bag. 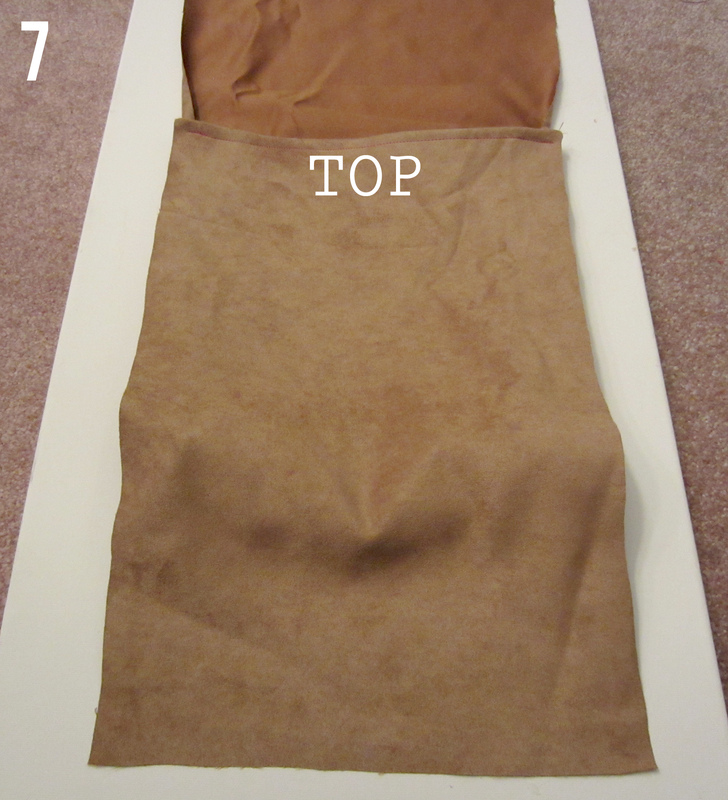 Step 7: Sew the top edge of piece B to the top edge of piece A. Step 8: Cut up piece B into fringe. The width of your fringe is your call! I prefer thin. 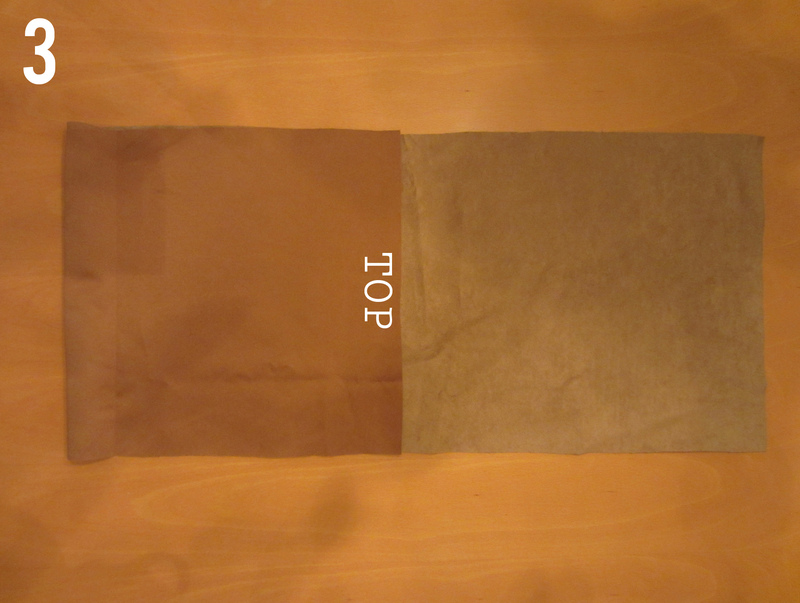 Step 9: If you flip over the bottom edge of piece A, that is the flap closure to your bag. If you would rather have a zipper or button closure, that is your prerogative, but I won’t be covering those elements today. 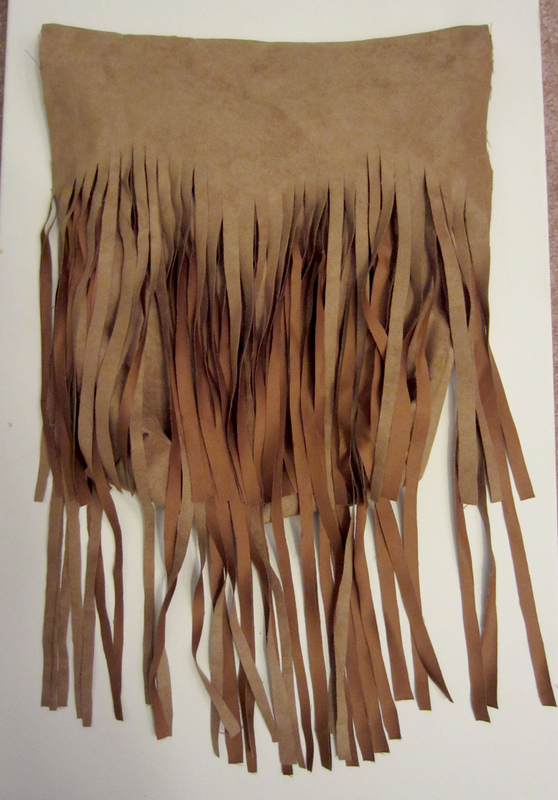 Now, since this flap is covering all of our awesome fringe, we’ll just have to cut it into fringe, too. I wanted to add a chevron pattern so I drew some zig zags on the wrong side of the fabric to use as a cutting guide. In hindsight I would have cut the same chevron pattern on the bottom edge as well. 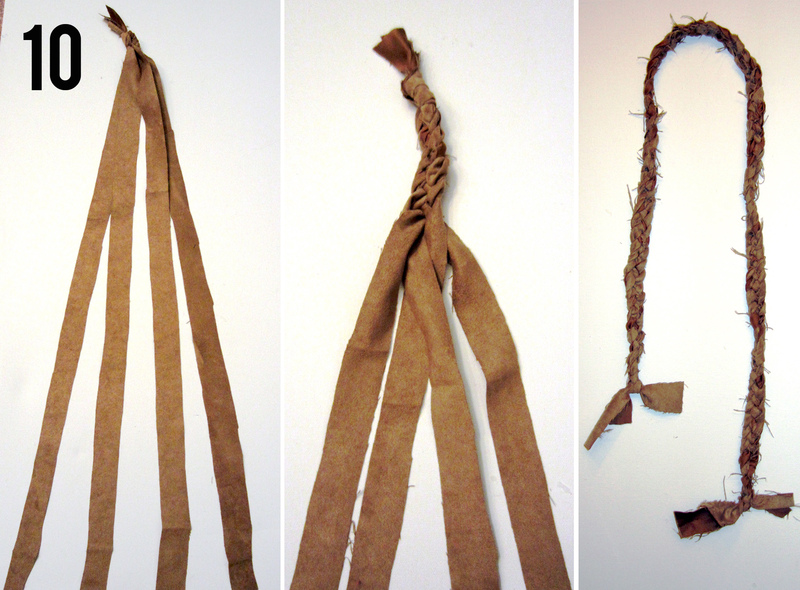 Step 10: Create a strap. You can use whatever material you want: faux leather trim, a thrifted belt, etc. I went ahead and used a four strand braid using the same fabric as the bag. 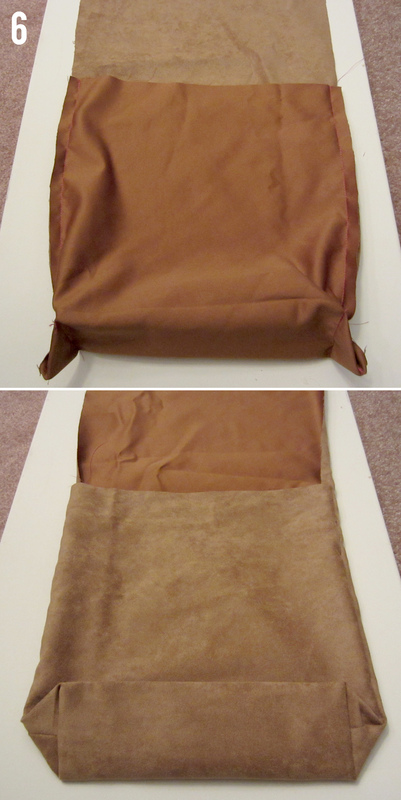 I cut out 4 strips that measure 1×50 inches, braided them, then sewed the ends to the sides of the bag. Wear with your most bohemian outfit. Now take a bath you dirty hippie. P.S. makes me think back to our FAT.EMA denim bags! This is awesome!!!!!!!!!!!! Thank youuuuuuuuuu!!!!! YOU ROCK!!!!!!!! !